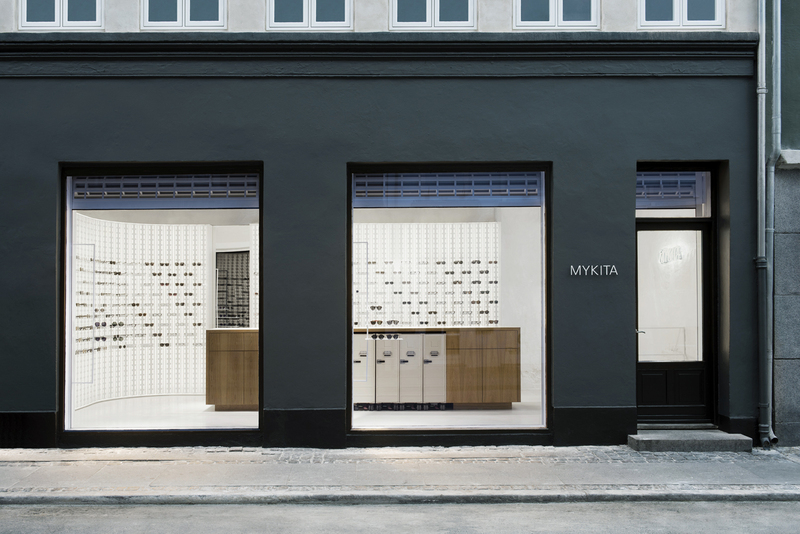 Grønnegade 43, 1107 København – On one of Copenhagen’s best-loved shopping street, the light world of MYKITA radiates from large shop windows, appearing even brighter next to the dark anthracite of the exterior walls. This visual theme of contrasts was picked up from the shop’s original ceiling, a heritage-listed structure of white glass panels and brass profiles. 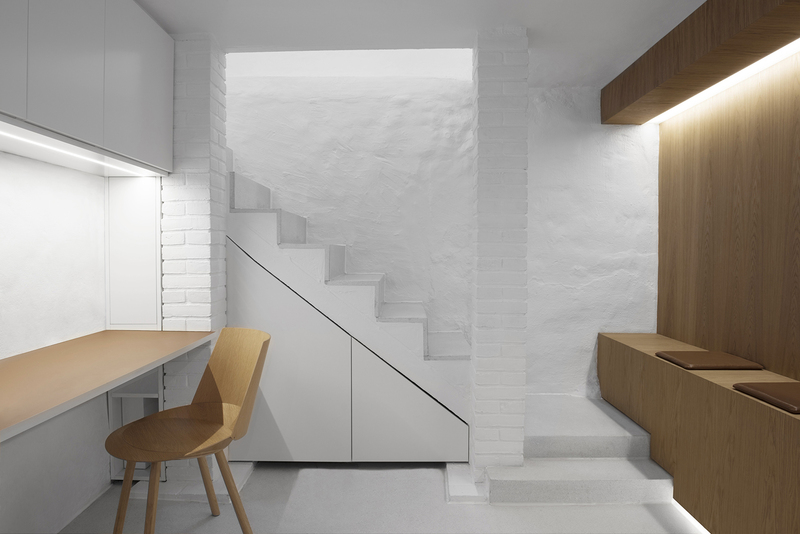 White terrazzo flooring, floor-to-ceiling windows, and mirrors optically enlarge the intimate shop space. 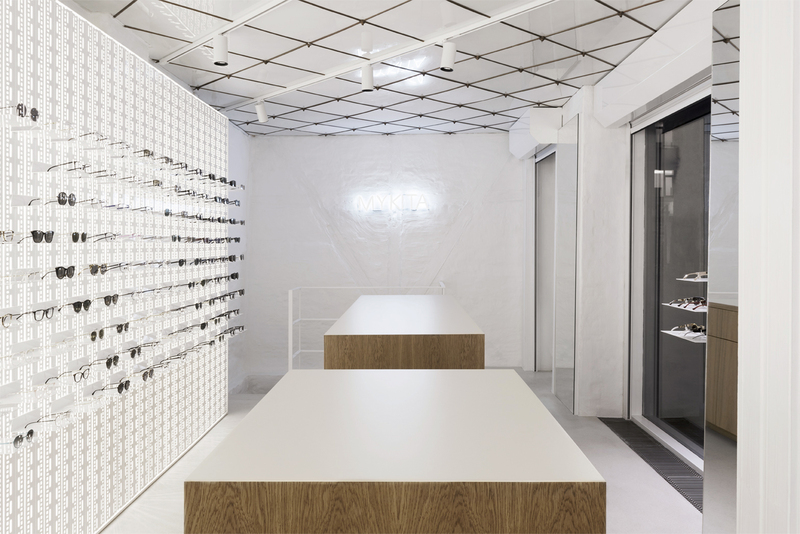 Visitors move easily around the wide oak desks in the centre of the room surrounded by eyewear models on the iconic MYKITA WALL shelving. Neon tubes suspended from the ceiling follow the structure of the original brass profiles of the traditional ceiling – a modern expression to honour the past.